Delhi BJP spokesman Tejinder Singh Bagga said he would distribute firecrackers among the children living in the slums. New Delhi: A BJP leader today said he would distribute firecrackers among the children living in the slums here, claiming that the act would not violate the Supreme Court order banning the sale of firecrackers in Delhi-NCR this Diwali. Delhi BJP spokesman Tejinder Singh Bagga said he would distribute firecrackers among the children living in the slums in the Hari Nagar Assembly constituency on Diwali, which would be celebrated on October 19 this year. "I have a plan to buy firecrackers worth Rs 50,000 and give them to the children living in the slums of Hari Nagar, so that they can celebrate Diwali," he said. "It will not be a violation or defamation of the Supreme Court order, because the court has only banned the sale of firecrackers. It has not put a ban on buying or bursting them," Mr Bagga added. 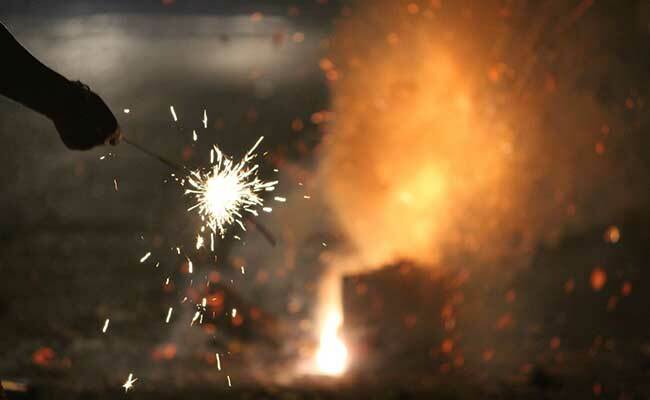 Earlier in the day, the top court ruled that firecrackers would not be sold in Delhi-NCR till November 1. The court also said that the order passed by it last month, temporarily lifting the stay and allowing the sale of firecrackers, would be made effective only from November 1, 12 days after Diwali.